In November 2016, a paper appeared in the scientific journal Science Advances, published by the American Association for the Advancement of Science. The authors, all graduates of the University of California, have been looking at how three of the most common types of plastic acquire a coating of a chemical – Dimethyl sulphide or DMS – that produces an odour many organisms associate with their natural food. Being General Secretary of an international organisation has its upside! At the end of April, I was invited to represent MEDASSET at the 37th International Sea Turtle Symposium in Las Vegas. Holding a symposium on marine reptiles in the middle of a desert, far from any ocean, may seem a rather eccentric decision but, as it turns out, turtle people will discuss sea turtles and all that concerns their survival more or less anywhere! What difference does it make if Greece has been found guilty of operating an illegal landfill site in Zakynthos by the Court of Justice of the European Union (CJEU)? Not a lot, it seems. So what if the landfill site in question sits at the edge of the National Marine Park of Zakynthos, almost on top of a beach that is the most vital to the survival of the loggerhead turtle in the whole of the Mediterranean? To deliver the objectives of the MEDSEALITTER programme, MEDASSET will be working with the Greek Centre for Marine Research and eight further partner organisations: the University of Barcelona and the University of Valencia (Spain); the EcoOcean Institute and the Ecole Pratique des Hautes Etudes (France); and finally from Italy the Cinque Terre National Park and Marine Protected Area (acting as Lead Partner), the Comune di Villasimius - Capo Carbonara Marine Protected Area, and the Italian National Institute for Environmental Protection and Research, Legambiente Onlus. Exciting news! The “Healthy Seas Fashion Project” Exhibition arrived at Deltapark Neeltje Jans in the Netherlands where it will remain for 2 years. The first of the year’s missions to collect disused and discarded fishing nets took place. MEDASSET organised the action that is part of the European initiative: “Healthy Seas: A journey from waste to wear”. Sea turtles are one of the most iconic and cherished species in our oceans. More important, for millions of years they have played an integral part in maintaining the stability and resilience of marine ecosystems. Our campaigns to improve the protection of loggerhead* nesting beaches in Patara (launched in 1988) and to halt severe degradation in Fethiye (launched in 2009), both listed as protected areas under the Barcelona Convention, continued in 2016. MEDASSET and the Hellenic Anti-Cancer Society announced their new collaboration in a joint press conference at the Grande Bretagne Hotel, Athens, on the 28th of June. They will work together in the context of MEDASSET’s “Clean Seas: Swear to Care” campaign lead by the slogan: “Smoking seriously harms the beach”. Amparo Albacete Cremades is an enthusiastic teacher of English at a Spanish primary school, CEIP Magraner School in the town of Tavernes de la Valldigna in Valencia. Her 27 pupils there, aged between 7 and 8, are the “Untameables”. Amparo and her class are on a mission to learn more about the things that make them happy. Their list is a long one, and among other things, it includes “the sea” and “sea turtles”! We have just published a new Report that presents the full findings of our 2014-2015 survey on the illegal trade in sea turtles in the fish markets of Alexandria in Egypt. Between September 2014 and March 2015, with the help of young volunteer Sherif Abdullah, and under the supervision of Mohamed Nada, we organised a new survey to reveal the current status of the trade in Alexandria’s fish markets and to gain insights into the local community’s perceptions. The educational outreach work MEDASSET does usually happens in Greece. So when the office in Athens got a call from a primary school in the UK, asking if someone could come and talk to their class of 6-year-olds about our work, we thought we would have to decline. Between now and the 6th July the Golden Hall shopping centre is offering a unique opportunity to visit an exhibition that shows what can happen when environmentally aware fashion encounters the circular economy. The exhibition was created with the support of the Representation of the EU in Greece, and celebrates the first anniversary of MEDASSET’s role as coordinator in Greece of the successful European initiative: “Healthy Seas: A Journey from Waste to Wear”. Following the Council of Europe’s “Recommendation No. 174 for the case file Greece: Threats to marine turtles in Thines Kyparissias”, which urged Greece to prevent habitat deterioration and ensure improved protection of Southern Kyparissia Bay, MEDASSET, in cooperation with other Environmental NGOs, lobbied the Greek state for the implementation of the Recommendation. The 2015 Paris Climate Conference, also known as COP21 is here. Negotiators, ministers and heads of state will gather in Paris to finalise the framework through which the world will seek to reduce carbon pollution and tackle climate change after 2020. Our project “Wiki Loves Sea Turtle Monuments" has reached a significant milestone, as it now includes photos from six of the seven continents! In addition, an interactive monuments map has been created. Monitoring the conservation status of important sea turtle nesting beaches in the Mediterranean is one of MEDASSET’s key activities since 1988. We present our findings and recommendations to national and international authorities, such as the Bern Convention, to bring international attention to local conservation problems and encourage governments to take action. In the Mediterranean, especially over the past six years, countries hit by the economic crisis look at coastal tourism and real estate development to help them recover economically. Together with Spain, Turkey and Cyprus, Greece is reshaping policies to attract investments and increase commercial activity. In October 2012 Egyptian NGO Nature Conservation Egypt (NCE) alerted us about news of “mass deaths of sea turtles” in Bardawil, a semi-enclosed coastal lagoon in North Sinai, Egypt. We are pleased to announce the release of a new paper: Population Structure for Sea Turtles at Drini Bay: An Important Nearshore Foraging and Developmental Habitat in Albania, by M. White, L. Boura and L. Venizelos. 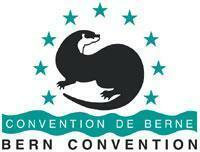 We are just back from Strasbourg, France, where we participated in the Bern Convention’s annual meeting at the Council of Europe (3-6 December 2013).